From left: Chancellor George Blumenthal, Monte Sereno Mayor Burton Craig, and Assemblyman Evan Low. The honor recognizes the chancellor’s contribution to the community. 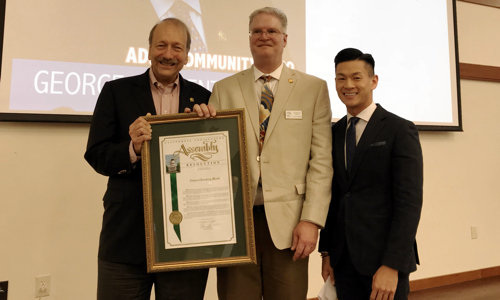 Blumenthal received the award during Low’s first state of the district event on Sept. 24 in Campbell.